With the advent of a free market economy, it has become possible for companies to attract service seekers from all around the globe. But the costs of the production of service depend on several other secondary issues. To maximize the bottom line, the companies resort to outsourcing, which is the buzzword for these economic times. When a corporation sub-contracts its requirements in legal expertise to another legal support service company or Legal Process Outsourcing (LPO) provider, it is called Legal Process Outsourcing. In recent times, the market has gladly accepted the benefits of outsourcing and in the US the LPO market has crossed 1 Billion dollars in revenue generation. It is growing at a phenomenal rate of 32% per year. The corporate corporations everywhere are looking for more and more outsourcing. There are many reasons for that. Firstly, LPO cuts the expenditure on maintenance and improves the efficiency of service production by using specialized methods of meeting the quality. Secondly, the differences in the time zone between the company seeking Legal Process Outsourcing and the LPO provider gives an edge in turnaround time. Legal transcription, data entry, document conversion, document management, legal coding, document writing, and legal research are the kinds of services which are the subsidiary part of most the corporations that majorly deal with other sectors. But the cost of recruitment and building infrastructures is a problem for the companies. With LPO providers and their advance digitization processes of the work, it gets relatively easier and cost-effective. 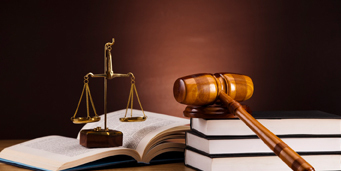 LPO providers also help with various litigation matters and provide paralegal support services. Reduced number of staffs and increased work output means profit avenues. There are many types of exchanges that can take place between a corporation and an LPO provider. In direct contract method, the company seeking LPO directly contacts the LPO provider. In managed outsourcing, the exchange between the corporation and the LPO provider is mediated by a moderator which guarantees a certain level of quality of work. In required outsourcing, the corporation may seek to outsource only that amount of work which is required. Multi-sourcing is an interesting transaction because the company seeking LPO contacts many LPO providers and then the work is distributed among them on the basis of competitive efficiency. Another positive aspect is that of relative pricing in multi-sourcing. But multi-sourcing requires effective administration. The amount of profit for a corporation depends on many aspects. But it is most important to spend wisely and to produce a better quality of work in less time. Legal process outsourcing services are a great help because it saves money and time produces better work. According to the core competence theory to maximize profits, a corporation must spend its money majorly on the core areas of its service and cut costs on subsidiary expenditure. Spending on a reliable LPO provider in India can become an important deciding factor between profit and loss.